Kayaking and Stand Up Paddle boarding (SUP) offers something for everyone. 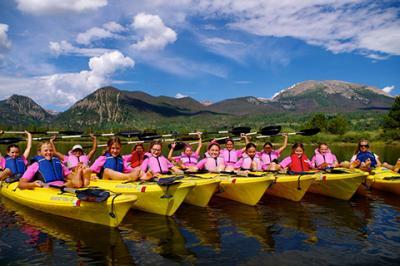 You can head out for a relaxing paddle on a calm lake or catch some whitewater action on one many rivers in and around Vail / Beaver Creek. The following professional outfitters can help with rental gear and the best spots to enjoy the outdoors of the Colorado High Country.